"So long Tony Parsons, hello Jim Keeble. Since Bridget Jones we've had endless books packed with female angst, so much so that emotional meltdown seems a totally female preserve in the literary world. So it's good to find another man writing emotionally about characters whose lives are one big dilemma." "From tantrums to tramps, puking to penguins this is a fraught but funny tale." "Keeble writes with insight and sensitivity about the transition from boyhood to manhood, how we must learn to live with our family and how sometimes the truth about men is more than beer, vomit and shagging." "This is a good holiday read: big enough to satisfy a hearty reader's appetite and yet not so stodgy as to cause literary indigestion.Which is as it should be for a novel about two brothers, one of whom is fat. 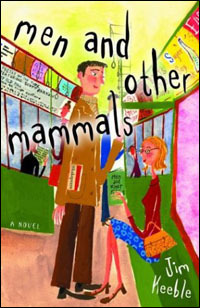 The narrative moves at a brisk pace, the characters are drawn with accuracy, and the humour is gentle and never mocking. Here is a novel about long-standing resentments and some deep-seated weight related issues, all of which rise to the surface when Scott and Jes Barron's relationship is disturbed by the case of a stole penguin. Funny diverting and a good read." 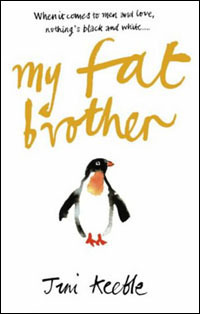 "The debut novel from Jim Keeble 'My Fat Brother is the latest addition to the "men's lit" canon. Cliched in places perhaps, but amusing." resentment. Easy reading to put a smile on your face." "A funny tale about sibling rivalry."